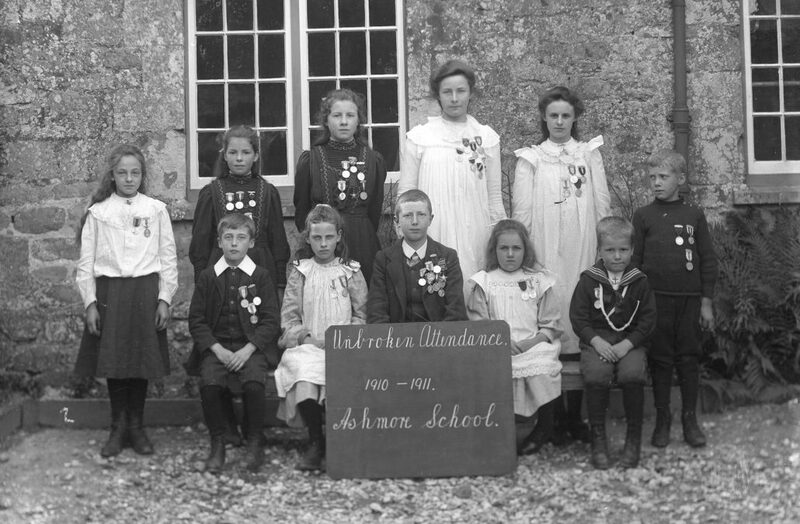 All infant and elementary schools provided a basic education in the three R’s as they were known:- Reading, Writing and Arithmetic, along with some basic nature study, Religious Instruction, needlework and carpentry for girls and boys respectively, and some ‘drill’ which took the form of exercise in the school yard. Schools were inspected and governed much as today and most schools received their instructions from Dorchester (Local Education Authority) and/or the church, depending on the type of school it was. From the 1891 census we can see there were many ‘scholars’ living at the Union Workhouse in St James and the staff running the workhouse are recorded as Mrs. Elizabeth Burlton, ‘matron & schoolmistress’, and her daughter, Miss Ellen Mary Burlton, ‘nurse’. As Mrs Burlton was a schoolmistress, and her husband was recorded on the census as the Master of the workhouse, some sort of education was offered to the children who lived here. A typical elementary school, its log book entries comment mainly on situations which affected children’s attendance. Illness was rife particularly scarlatina and scarlet fever, smallpox, measles and other minor outbreaks of diseases. Sometimes the school had to be closed for long periods before these outbreaks died down. The children were also absent occasionally when they were required for farm labouring, especially when the men had gone off to war. These activities were described as planting potatoes and later ‘tatie picking’, nutting and haymaking. Absences were often sanctioned by the authorities during the war, as older children could help make up the shortfall in labour at busy times, such as harvest. The militia was often in town and pupils would be given the morning off to go and watch the drill; the presence of troops was often recorded in the log book to explain absences. Poor attendance due to heavy snowstorms closed the school in severe winters. In 1912 Kelly’s Directory described Bimport Elementary School as having been built for 134 boys and the same number of girls whilst the Infants School was for 122 children. The master was Mr George Pearson Barter and infant mistress was his wife, Mrs Edith Barter. School inspections at this time reported on attendance, arithmetic, reading and writing – much as they do today. In 1891 fees were abolished in compliance with the Elementary Education Act. From reading various log books from local village schools surrounding Shaftesbury, it is clear the entries are similar to those at Bimport at this period. There is little or nothing to indicate that a war was taking place in Europe beyond the children being released to help with farm labour, and the annual celebration of Empire Day on May 24th. • 1918 September 18th – ‘Children were sent blackberry picking. 43 lbs (20 kgs)were collected’. The same occurred on September 24th, 30th and October 2nd and 3rd. The blackberries were sent to be made into jam and given to the armed forces. Similar entries are recorded in the logbooks of Sedgehill and Semley Schools in 1917 and 1918, and Ludwell School collected horse chestnuts and blackberries in 1916-18 ‘for government purposes to help the war effort’. One afternoon it is recorded that 5 cwt of horse chestnuts and 172 lbs (78 kgs) of blackberries were collected. The log book of Motcombe School records similar collections of blackberries, acorns and chestnuts in autumn. The nuts were sent to make cordite, an ingredient in bomb-making, but the pupils were not told this. There was a munitions factory at the Royal Navy Cordite Factory, Holton Heath, Dorset set up during the war years, so it is probable that the nuts were sent there. • 1919 November 10th Holy Trinity Bimport log book records that His Majesty the King (George V) asked that lessons should be stopped for 2 minutes at 11.00 a.m. to allow the children to ‘stand in reverent silence in memory of the Glorious Dead’. This was the first Remembrance Day 2 minutes silence, held one year after the German surrender in 1918. The date November 10th would seem to be a mistake, but the first Armistice Day was kept on the evening of November 10th by King George V in honour of the President of the French Republic and was held again in the grounds of Buckingham Palace the following day. Thereafter Remembrance Day has been kept on November 11th each year. Not all the pupils’ activities were serious, however, and treats and celebrations formed part of the school calendar. 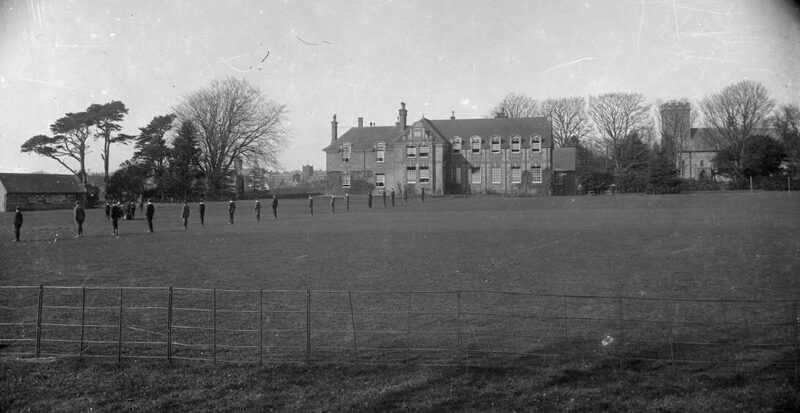 In July 1916, the annual Holy Trinity School’s treat took place in the grounds of Pensbury House. The children assembled in the school grounds, and marched with banners to the fields. Awaiting the children was the Prize Band of the 7th London Regiment, a large number of visitors, games and tea. A vote of thanks was given for the treat, and a response was given by the Reverend Everard Digby, chaplain of the regiment, and a man much involved in local Shaftesbury organisations, including the Boy Scouts. In December 1916, Iwerne Minster Elementary School children celebrated the beginning of the Christmas holidays with a concert. In a gaily decorated hall they performed dances, and sang several patriotic and action songs. Gramophone recordings were played, and each child was given an orange to take home. 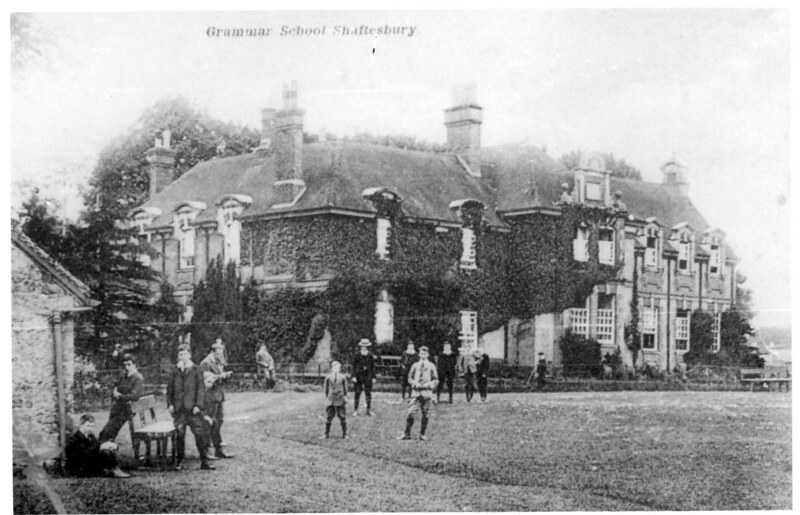 Shaftesbury Grammar School was built in 1878. According to Kelly’s Directory of 1903 it enjoyed ‘an elevated and extremely healthy position’. It was originally built for 60 boys including 14 boarders with a headmaster’s residence. The fields included a 4-acre cricket field and pavilion. In addition there were chemistry and physics laboratories, a carpenter’s shop and gymnasium. The headmaster at this time (1903), Mr Pryce Thomas Taylor MA, was ably assisted by several masters, a music master, drill sergeant and agricultural instructor. One of the masters, Mr F.L Watmough, taught at the school for many years and was still listed in the 1923 Kelly’s Directory as being an assistant master. He was undoubtedly an active member of the Shaftesbury community, having been a lead author of the Shaftesbury Historical Tableaux production of 1907. Frederick Watmough and Mr G Harold Strange (a former scholar) co- wrote a series of dialogues and tableaux telling the story of Shaftesbury from prehistoric times. In 1907 Charles Henry Tovey M.A. LLD became the headmaster of the grammar school and held this post throughout the war and for many years afterwards till 1932. It was no easy task to steer the school through the war years. Many former pupils and staff served and were killed between 1914 and 1918. The school magazine devoted proud, respectful and poignant information of the former boys’ progress, injuries and deaths in most of its quarterly editions at this time. After 1918, much thought was given to an appropriate memorial to those who had sacrificed their lives. The New Assembly Hall and war memorial tablet were founded in their memory, and the hall was opened by the Earl of Shaftesbury in 1923. Mention should be made of Robert Minchin who entered Shaftesbury Grammar School as a pupil of his brother-in-law (the headmaster Mr Tovey). 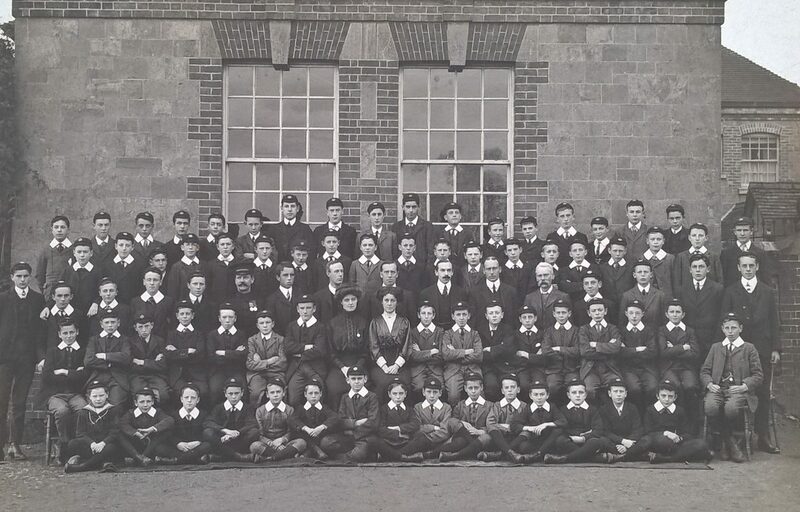 He served in the war and afterwards returned to the school as a student teacher, assistant teacher and eventually as headmaster in 1934 a position he held for the next 20 years. The stories of those former pupils who served and died in WW1 can be read in the old Shastonian Magazines, alongside the sports fixtures, examination results and everyday events which took place at the school. 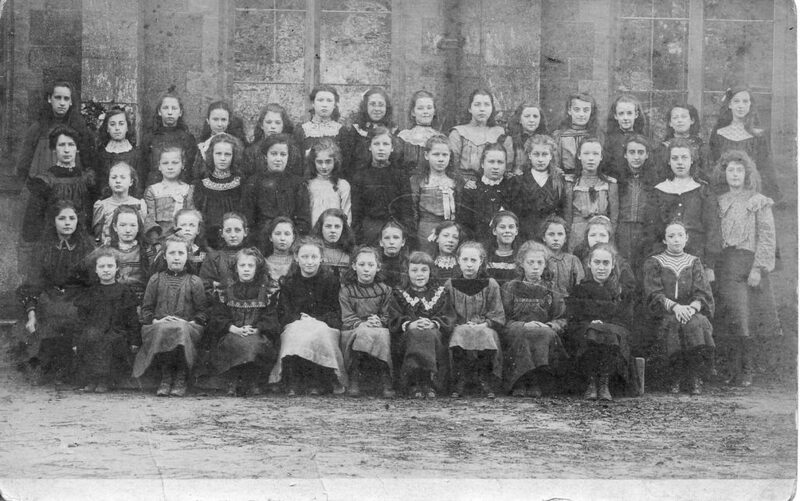 It is very clear that pupils and staff at Shaftesbury Grammar School were greatly affected by the Great War, but nevertheless carried on as normally as possible. Grosvenor House in Bleke Street (now an architect’s office) is the site of the former Girls High School. In 1884 Miss Dunn founded the Grosvenor House School combining it with another school she had kept in the High Street, and ran it for 41 years. She was a well-known and admirable lady who was also involved with education in Gillingham. The Girls High School provided for both boarding and day students and developed a reputation for excellence. Miss Dunn required a high standard of appearance and the curriculum offered a wide range of subjects. In addition to the usual subjects pupils could learn how to play musical instruments and sing, and study French, German and geography. The girls’ performance in each subject was graded numerically according to position in class and exam marks out of 100. Clearly the pupils who attended Grosvenor House School were receiving a very good education during Miss Dunn’s tenure, which ended in 1925. 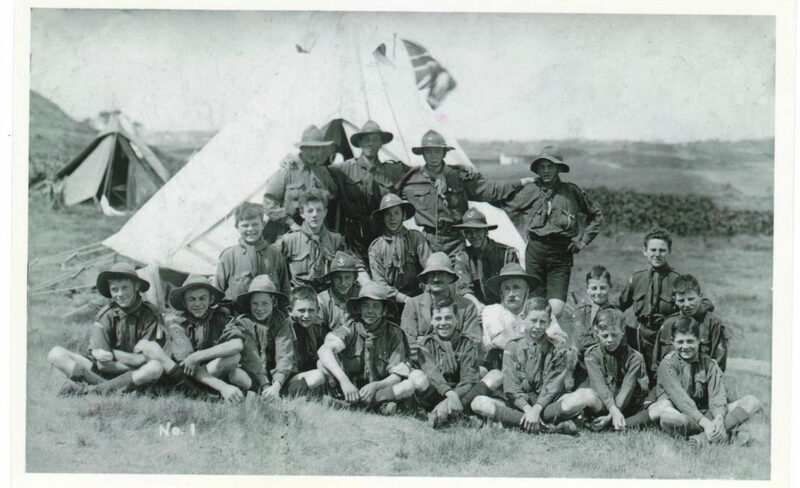 The first troop of Shaftesbury Scouts was formed in 1908, a year after the national movement was founded by Robert Baden-Powell. Dr Blucke of Cann Lodge was the first scoutmaster, and the troop met in his stables. Mr Brickell succeeded Dr Blucke, and the meetings moved to Gold Hill. The annual camp was held at Coombe House by invitation of Mark Beaufoy, who was the scoutmaster during part of the Great War. The boys had a wonderful time on the Beaufoy estate, catching rabbits and skinning them for their supper amongst other activities. Lady Stalbridge, who moved with her husband and son to Motcombe House in 1914 founded a new troop in Motcombe, partly for her son Hugh aged eleven, who had left boarding school to live at home during the war. She provided a new headquarters for the Scouts in what was the old forge on Park Walk in Shaftesbury. 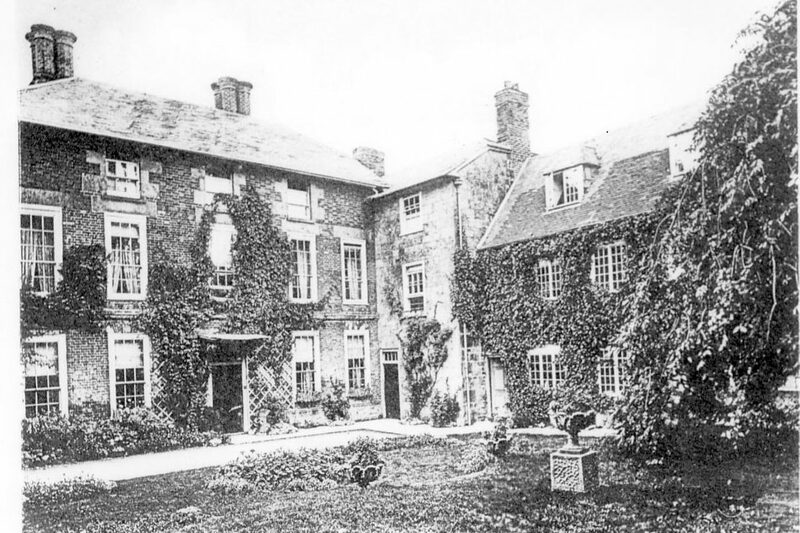 Lady Stalbridge encouraged the boys to write and act plays to raise funds, and she sponsored a patriotic flag which was raised at Motcombe House in 1914 by a Belgian refugee whose family were staying with her. Shaftesbury Boy Scouts gave several concerts in the Market House to raise funds for their activities. New troop colours were presented, and the boys sang “Be prepared”, and the National Anthem. In Fontmell Magna a troop was formed in 1913 by Humphrey Springfield, co-proprietor of the dairy at Springhead. A drill hall and rifle range was provided for the boys, who also saved up to buy musical instruments to set up their own band. The district Annual Scout Meeting noted that as a result of the war, Scouts had been mobilised and placed under the control of the police. They had delivered about sixty messages, covering about 215 miles in total. 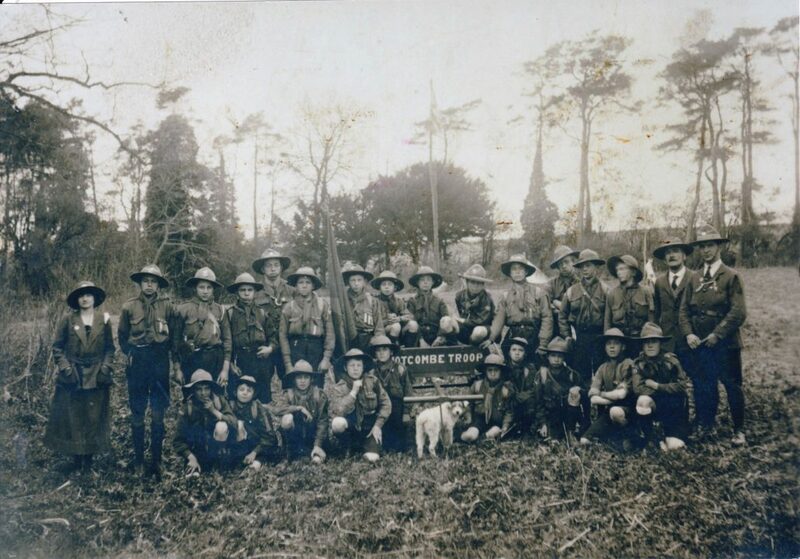 New Boy Scout troops had been formed in Motcombe and Donhead, and it was feared that the Shaftesbury troop would lose some of its members, and income, to them. The annual meeting of the District Boy Scouts Association was held in October. The boys’ willingness to help with voluntary work and message deliveries was commended, but Scoutmaster Brickell had difficulties in maintaining the troop, as he had lost his two assistants when they had joined up. 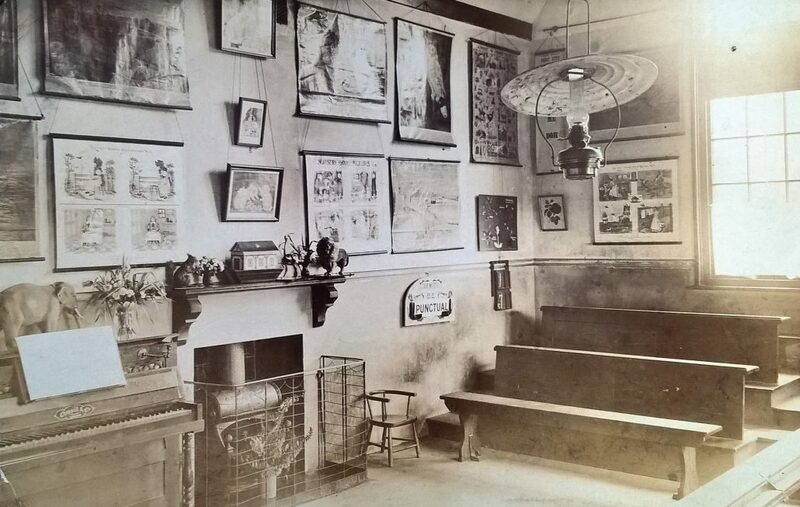 The club-room on Gold Hill had been decorated by the boys, and a carpenter’s bench and tools were being bought so they could improve their skills. 26 former Shaftesbury Scouts had enlisted, and it was reported with great regret that an assistant scoutmaster, Gunner Gutsell of the Heavy Motor Machine Gun Section, had been killed in action. His father ran a drapery shop on the High Street in Shaftesbury, and at the beginning of the war had been boycotted by some who thought that he was German, something he vigorously refuted. The annual camp at Coombe House was very successful, and much enjoyed by the scouts. On September 3rd, Charles Brickell, the Scoutmaster, wrote to thank the Reverend Yarnall for the special Scout service held the day before. He comments: “the reading of the Scout Law from the pulpit will surely be a wonderful help to us all, and I am sure will help to make the public realize that Scouting is not all play and military training”. The Guiding Movement was established in 1910 by Agnes Baden-Powell, Robert’s sister, as girls made it clear that they wanted the same opportunities as boys. “I must have been about 9 or 10 years of age when the group was founded by a Miss Mary Harris, daughter of a local doctor in Shaftesbury. We used to meet at her house, usually on Saturday afternoons. There were three patrols, one was the Rose, and Forget-Me-Not, and the White Heather. I belonged to the White Heather. Our uniform was a serge tunic and skirt in navy, we had a scarf in pale blue, also a lanyard with a whistle, leather belt and also a long pole. In November it was agreed by the town council to grant free use of a room in the municipal buildings for the use of the Girl Guides. The county commissioner for the Girl Guides, Mrs Walter Shaw Stewart, hosted an entertainment at Hays, a house on the A350, (now a residential home). It was organised by Miss Mary Shaw Stewart, captain of the first Company of Sedgehill and Semley Girl Guides. The company had been started by Miss Shaw Stewart in 1914. By March 1918 there were 15 companies in Dorset, including in Shaftesbury, Childe Okeford, Iwerne and Blandford. 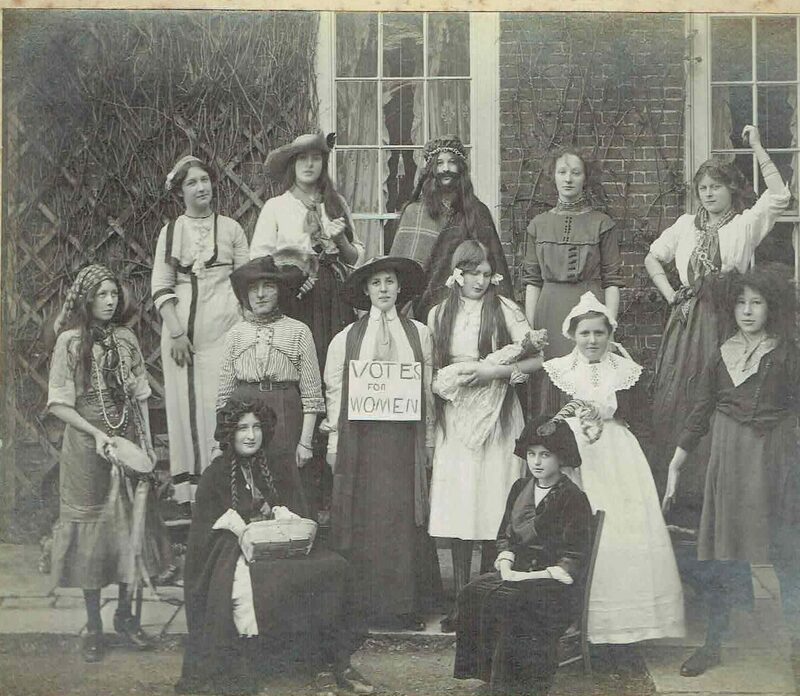 At the county meeting in Dorchester, it was felt that women and girls had had many new challenges and opportunities during the war, and the guiding movement had a responsibility to offer as much training and help as possible. Before the war there were about 12,000 Girl Guides, and in 1918 there were over 70,000. As well as instilling values, practical skills were important, such as making fires, ambulance work, learning Morse Code, and laundry work. A Nurse Cavell badge was to be instituted in honour of the nurse shot by the Germans.